Morpheus features three separate, spacious entertaining areas give it the flexibility to be ideal for corporate functions, weddings, iconic Sydney Harbour celebrations or birthday parties. A catamaran, Morpheus has the benefit of underwater stablisers, providing unparalleled cruising comfort for up to 100 guests. With a fully equipped galley, in-house sound system and plasma screen TV, Morpheus has in place the prime ingredients for a successful function. When combined with packages that are personally tailored to your event, including flowers, beverages, menus and entertainment, organising your event will be a breeze. Our customers and staff had a wonderful night. The experience was just perfect for our international guests and our staff!! The staff were awesome and so helpful. Very attentive and professional. Very experienced and friendly company. Doug provided excellent service, he addressed all our questions and made sure our day ran smoothly. 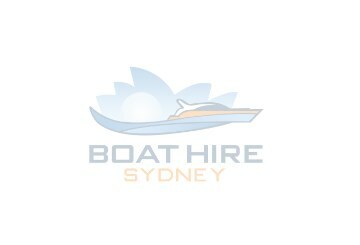 Will recommend their service and will be using Boat Hire Sydney again. Very good service, everyone was very friendly and helpful. We were a little disappointed with how early the bar closed. An excellent end of year celebration for our company with delicious food and booze. Thoroughly enjoyed by all. No, although it may be possible to bring a few bottles of something special on top of your chosen bar package. Seated dining - there is space to seat up to 70 guests around tables of various sizes in the main lower level. For cocktail dining the boat is fairly spacious even at the capacity of 100 guests, thanks to the 3 separate entertaining areas - people naturally spread out all over the boat. Yes there is a sound system with speakers throughout most of the boat including up on the front deck. There is an aux cable to connect your device to, and typical a music streaming service is available too if required. Yes we've had all sorts of creative decorations before from Beach themes to Super Heroes. You may have to be flexible with your setup times, depending on the schedule of the boat before your cruise - Afternoon charters are easier to organise pre-access than Evening charters. Yes there are separate bathrooms for the Men and Ladies. Yes all cruises come with a skipper, bar and wait staff numbers will depend on your number of guests and your menu selections. No there is no air con but the skylight style windows at the front of the saloon area allow for good ventilation so it generally stays cool when cruising around the Harbour. Yes there is ample shelter for all guests, all 100 guests could event fit downstairs on the main level if required, plus there is plenty of room for 20 people on the sheltered top deck. Considering the large size of this vessel, it is very flexible with regards to pickup and dropoff locations, although the most popular is King St Wharf at Darling Harbour. A typical cruise will start from Darling Harbour and go for a scenic cruise exploring the bays on the way to a nice sheltered bay such as Athol Bay and Clifton Gardens or over on the other side around the Watsons Bay area. Here we normally anchor up for lunch or dinner before heading back. A typical cruise is 4-5 hours - we recommend at least 5 hours for wedding cruises. Yes children and babies of all ages are welcome on Morpheus and in being a very wide and heavy boat it is one of the most stable we have in the fleet. The main indoor area is enclosed and sometimes groups setup a little play area with toys in the corner to keep the kids entertained. The cruise will go ahead in all but dangerous conditions. There is plenty of wet weather shelter for all guests and last minute changes to the layout inside can be made to help with this, for example in the case of a wedding. Morpheus accommodates formal seated events for up to 70 people or informal gatherings and cocktail parties for up to 100 people.